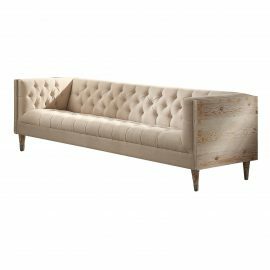 Tags: sofa, beige, cream, wood. 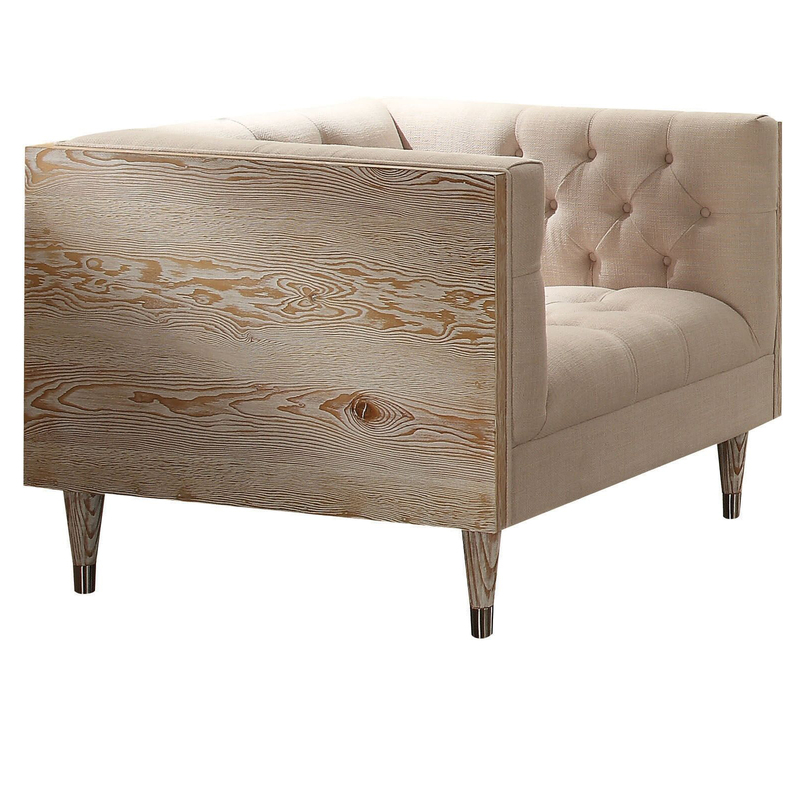 The Chelsea Lounge Chair has a bleached oak wood paneling frame with button tufted back and seat. Beige colored Belgium linen fabric.